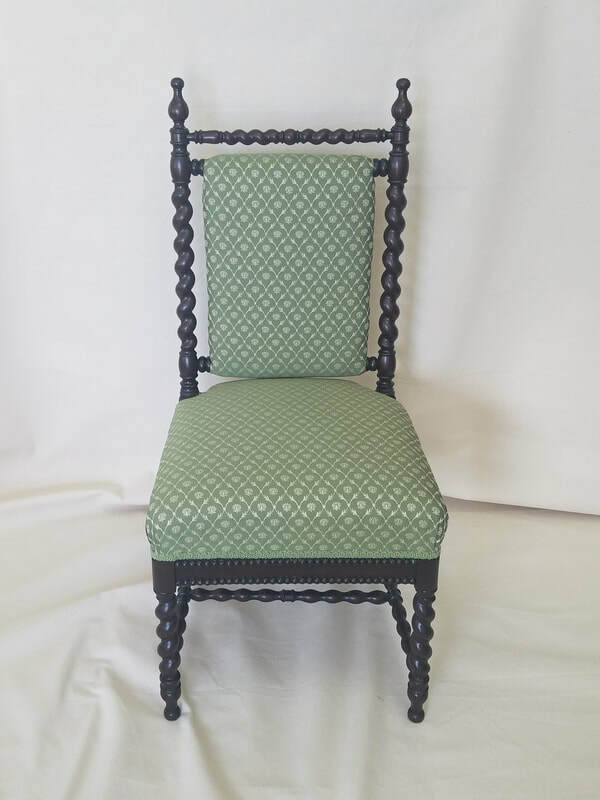 ​We start upholstery projects by creating an estimate with measurements from the furniture, this can be done at our shop or at the customers home or business. 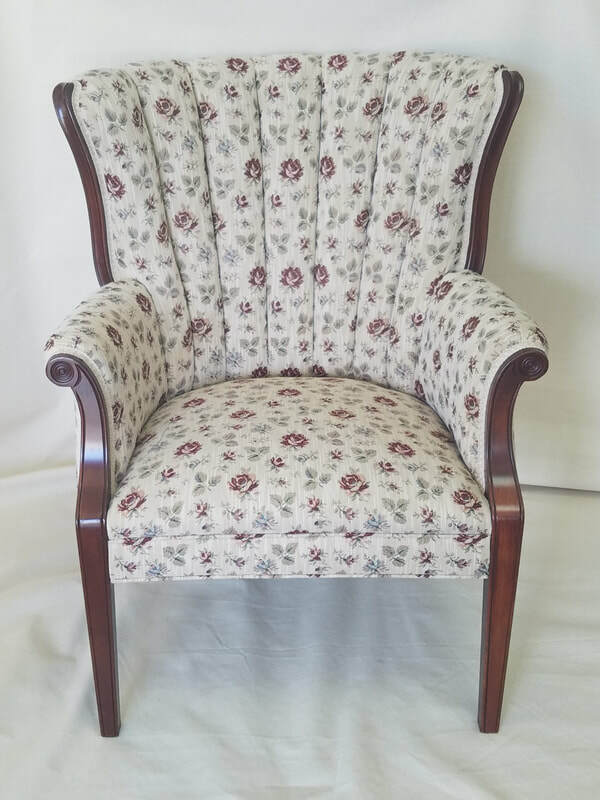 The customer chooses a fabric from our selection or can provide their own material if they prefer. When our customers are ready to move forward with the project, we collect a deposit and order material if needed. Schedule times vary from two weeks to ten depending upon the time of year and number of current projects. 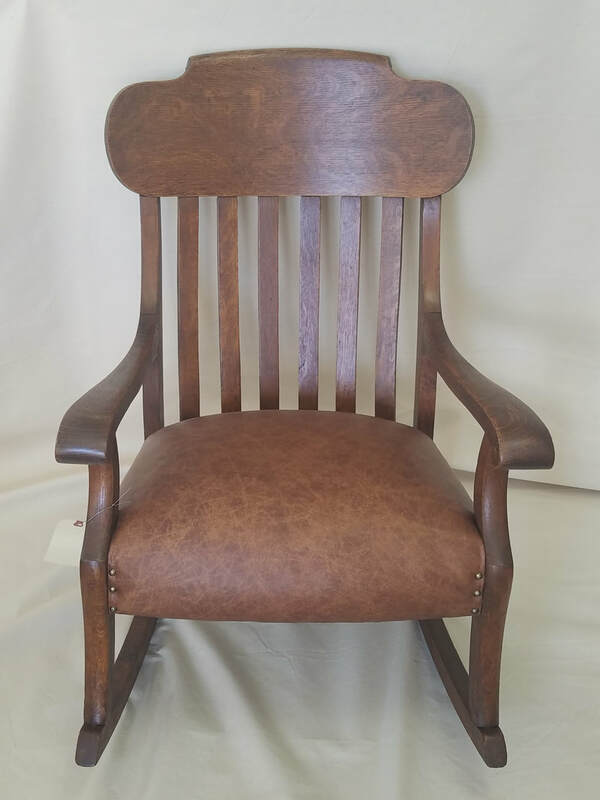 When it is time to start the upholstery or refinishing, we can either pick the item up for an added fee, or the customer can provide the furniture transportation. Once the piece in the shop it typically takes one to two weeks to complete depending upon the size or number of pieces. 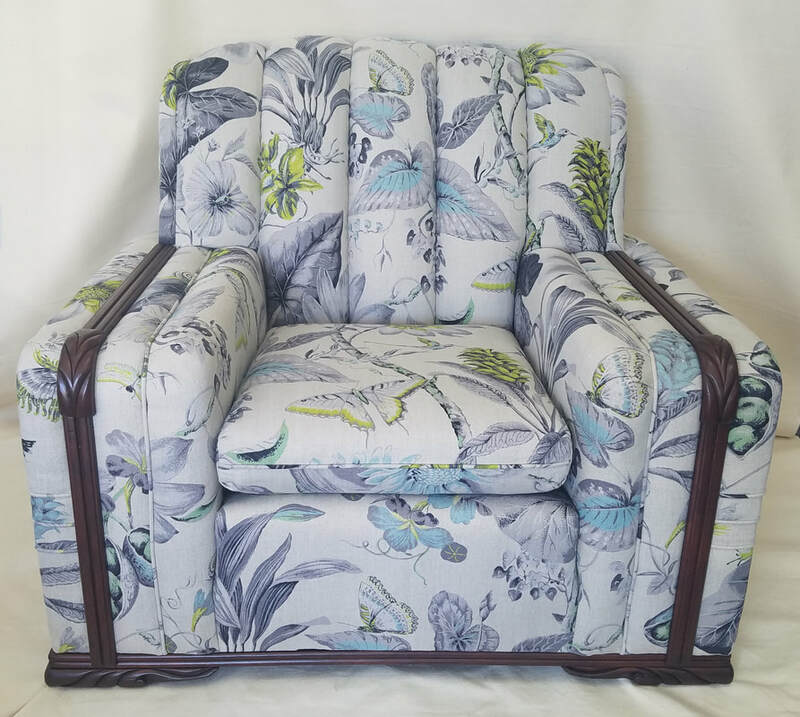 When we are done, our customers will have a one of a kind quality piece of furniture that will last for many years to come! 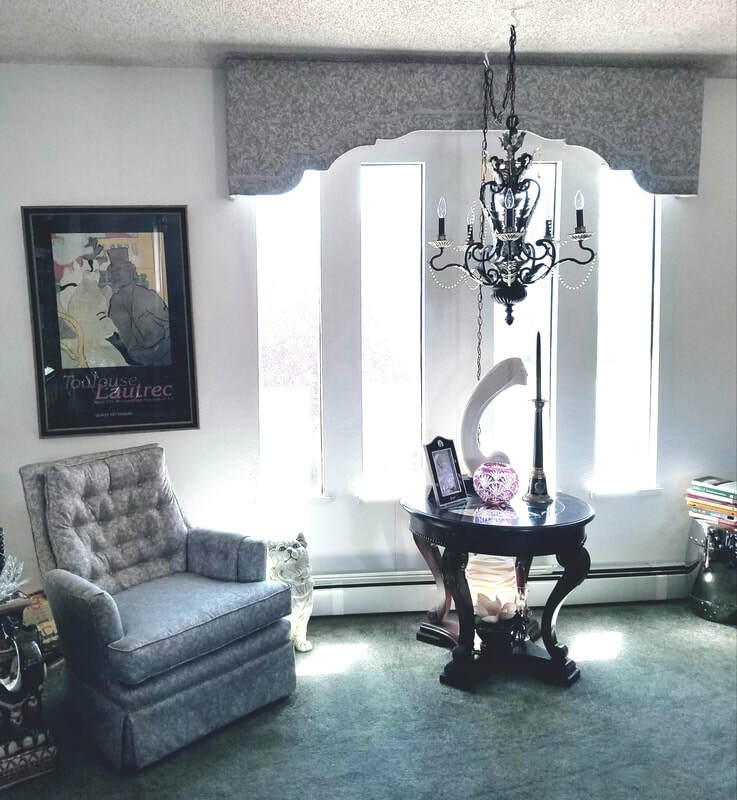 To the left is a photo that includes a custom upholstered chair & window cornice. Your wood furniture deserves attention too! Our full service refinishing department can repair and restore your wooden furniture.